Love me some romanesco! I've been roasting this with cauliflower and kale recently - just a bit of olive oil and salt and it's delicious and hearty! 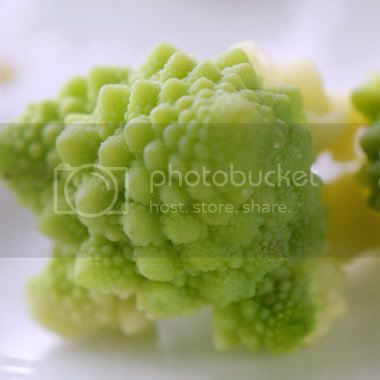 Ah, thanks for posting a full pic of this alien veggi, how unique looking! 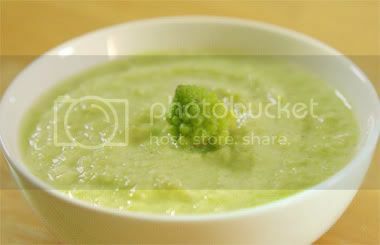 The little soup/puree sounds really tasty, but I'm definitely sold if you add the bacon! @Aaron: I've been wanting to make kale chips lately. It's on my to-do list for the weekend! @Mumble: sooooo good! I even used it as a dip for chips.